This book is intended to help candidates prepare for entrance examinations in mathematics and scientific subjects. Each question is followed by a comment and a full solution. 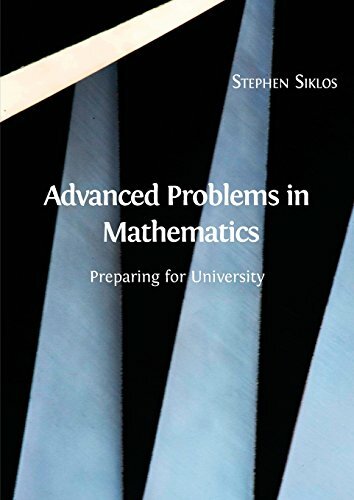 This book is a must read for any student wishing to apply to scientific subjects at university level and for anybody interested in advanced mathematics. Contents: Series; Vector Algebra; Matrix Algebra; Vector Calculus; Complex Variables; Trigonometry; Hyperbolic Functions; Limits; Differentiation; Integration; Differential Equations; Calculus of Variations; Functions of Several Variables; etc. Mathematics, from algebra through calculus, has been treated in such a manner as to be clear to anyone. Men who wish to study a part of mathematics which they have not hitherto had will find this manual just the book for which they have been looking.